K-pop act Golden Child has hinted once again at its return. The boy band is to release the new single “Goldenness” on July 4. Management agency Woolim Entertainment has been releasing concept photos of the band through its official social media account since Wednesday. 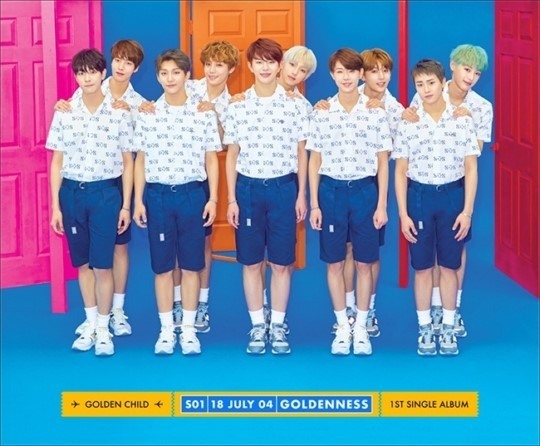 On Monday, a group photo of Golden Child was released, with the bandmates smiling at the camera in a colorful setting, hinting at the cheerfulness of the upcoming track. Golden Child debuted in August last year with the EP “Gol-Cha!” and lead track “DamDaDi.” It was originally an 11-piece band, but Jaeseok had to leave the group due to health issues.